Forty-five years ago this week, violent protests and a 14-day sit-in over racism at Sir George Williams University exploded, causing $2 million in damage for the school. The incident began over allegations of racism levied by a group of six West Indian students against their biology lecturer. 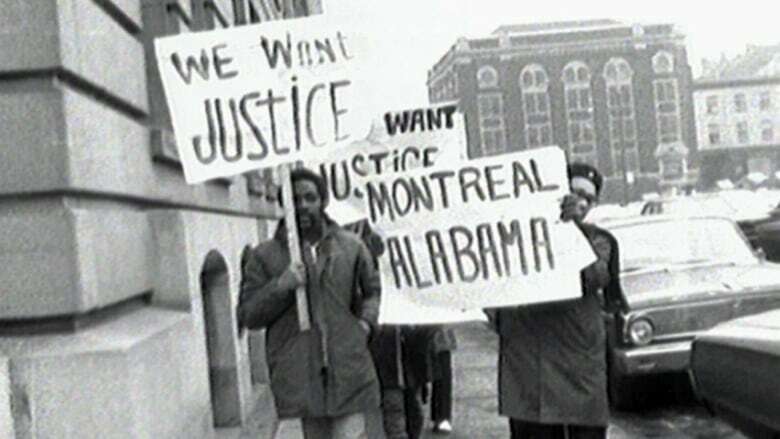 (Radio-Canada Archives)The incident, which has since come to be known as the Computer Centre Incident — or more commonly, the Computer Riot — is entrenched in the history of race relations in Montreal. This month, the Concordia University Archives is posting archival documents on the Computer Riot to its website to commemorate the events and to celebrate Black History Month. The events leading up to the riot began in earnest in the spring of 1968, in which six West Indian students accused their biology teacher, Perry Anderson, of racism after they suspected unfair grading. The university agreed to establish a committee to investigate the allegations. Dubbed “the Anderson Affair,” the hearings were a source of fiery controversy among the student body at Sir George Williams University (now Concordia University). On Jan. 28, 1969, student newspaper The Georgian handed over the reins of the newspaper to student protestors, allowing them to produce an issue that went on to be known as The Black Georgian. The day after, the six complainants and about 200 other students walked out of the hearings which were being held in the Hall Building auditorium in protest. They headed for the ninth floor of the Hall Building, occupying the Computer Centre — a room that housed the main computer for the school. The occupation later spread to a faculty lounge on the seventh floor. Negotiations between the students and the administration’s lawyers led to a settlement in principle on Feb. 10. News of the agreement caused a number of students to leave the premises, leaving fewer than 100 of them to maintain the occupation when negotiations fell apart at the 11th hour. 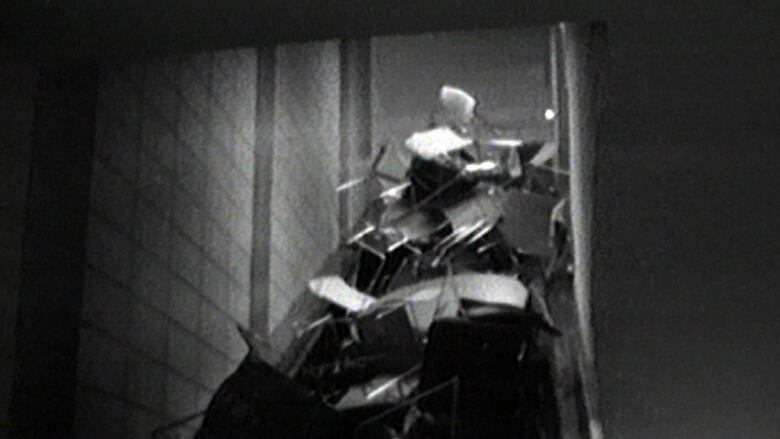 The remaining protestors barricaded the stairwells on the seventh floor and shut off the elevators and telephones. They threatened to destroy the computers if the police were called in but the university had already turned the whole matter over to the police. It all fell apart on Feb. 11. A fire broke out and the university’s computer was destroyed. 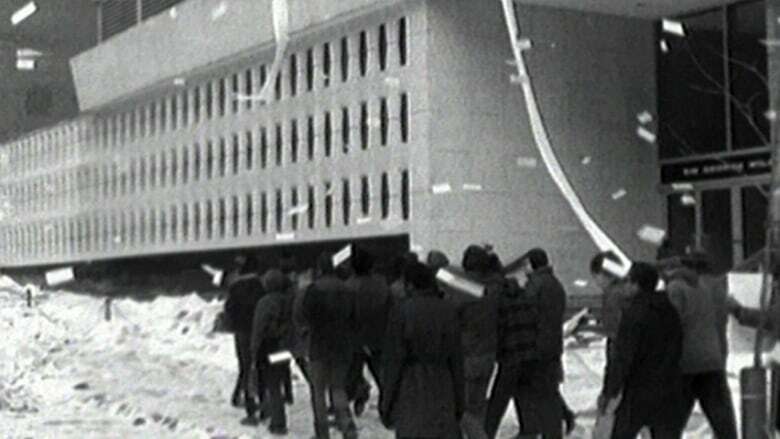 Millions of punched computer cards and other documents were sent flying out the windows, littering de Maisonneuve Boulevard and surrounding streets below. 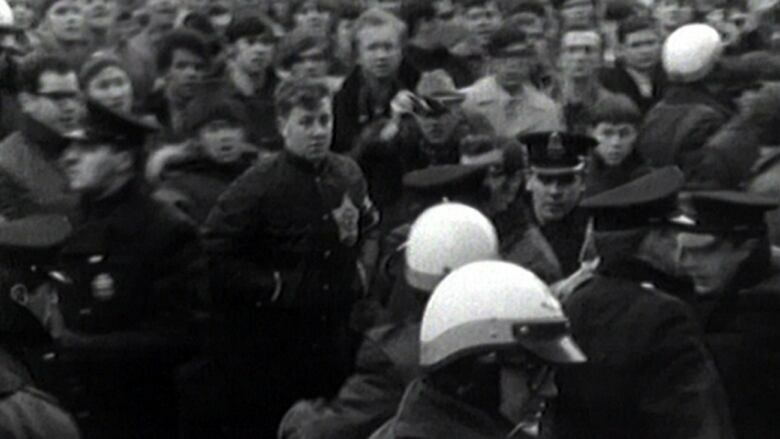 Police and riot squad officers stormed the computer room, arresting 97 people — more than half of whom were white. Damage was estimated at $2 million in 1969 dollars. The next day, the professor was reinstated after his suspension during the incident. In the summer of 1969, he was found not guilty of racism in the original case. The incident, however, led the university to revise its policies and procedures, establishing an Ombuds office and a code of conduct. Tracey Lindeman is an online journalist with CBC Montreal. She worked for the Concordia University Archives while attending Concordia University, where she indexed 1952–1977 of Sir George Williams University student newspaper The Georgian.